Natural deodorant for harsh climates, long lasting, safe and luxurious on the skin. Lower bicarb soda content for sensitive skins. Essential oils provide anti-bacterial properties without synthetic perfumes. Plastic-free packaging. Please note that this product now comes in a rectangular bar. Apply a pea-sized amount to armpit, or use the spatula provided, to neutralise odor all day. 60g. No synthetic ingredients, aluminium or petrochemicals. Packaged in 100% post-consumer recycled paper which is fully recyclable at the end of its life. Semi-solid paste deodorant. Simply apply a pea-sized amount to each armpit, or use the spatula provided, to neutralise odor all day. Free from sulphates, parabens, silicones, petrochemicals, phthalates, DEA & artificial colours, or anything synthetic. Arrowroot and clay to assist with absorption of moisture. Lower content of bicarbonate soda designed for more sensitive skins. Scented for women with Peru balsam and tangerine. Compact size suitable for carrying in your bag. Beeswax is sourced from a local bee keeper who only uses excess wax from the hive to ensure the colony is sustainable. 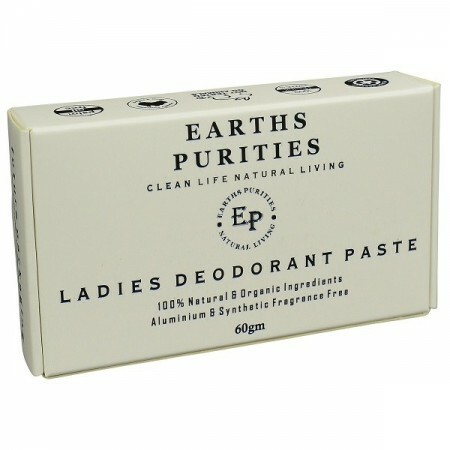 Contains Australian Bentonite clay and food grade diatomaceous earth to assist in de-toxing the armpit naturally. It is natural for your body to sweat and you will do so when using an aluminium free deodorant. It is however unnatural for the body not to sweat, this is your body’s ability to expel toxins. This natural formula assists in controlling the odour causing bacteria that forms when your body expels these toxins. If you do not normally use a natural deodorant you could experience a detox period through your armpits before your body restores its PH and armpit health. This detox period could be present for up to two weeks and some of the effects could be odour, redness or rash. Most people do not experience any side effects when switching to natural deodorants but if you do this is normal. Your body will expel toxins when using a natural deodorant. 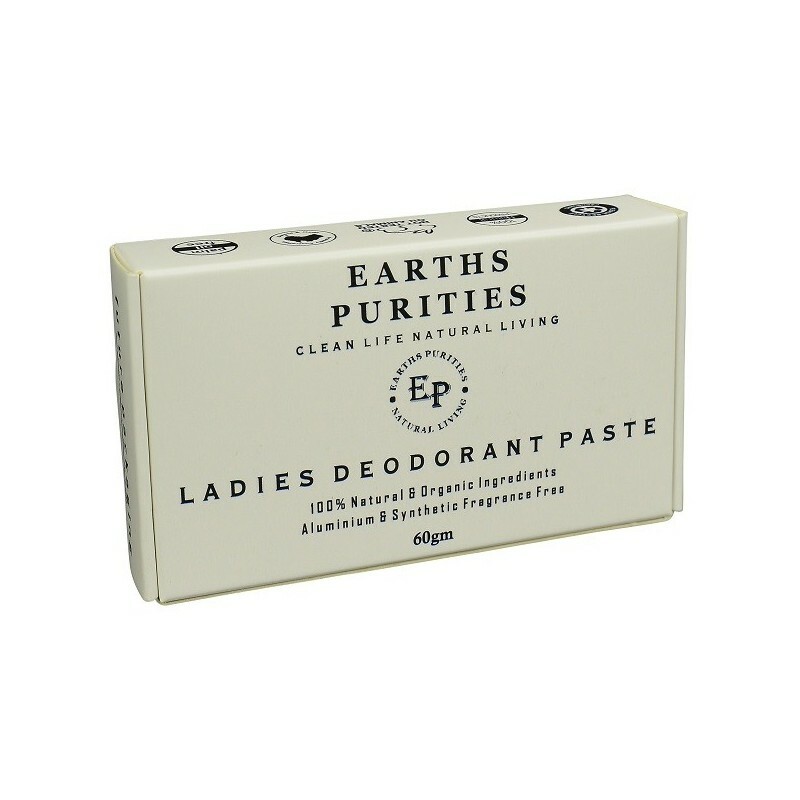 Our natural deodorants allow your body to sweat naturally and will assist in eliminating the odour causing bacteria. This is great! I love the scent so much and people always comment on it when I first put it on as the scent has usually lingered on my hands from the oils. It obviously does not have the lasting power of other deodorants but it is pretty good for a natural one and if you put a decent amount on, it will last. I also put mine into a reusable push up container because I found it harder to remember to out on deodorant from the little box and it also just makes it easier.